What is Modern Rattan Furniture? How To Protect The Feet On Synthetic Rattan Garden Furniture? Home » How To Protect The Feet On Synthetic Rattan Garden Furniture? Cheaper construction generally uses tubular steel framing, which will rust if exposed to rain and damp, or left in contact with the ground. Rubber feet are a must if you purchase low-cost versions. The best protection for the feet of rattan furniture is high-quality construction in the first place. 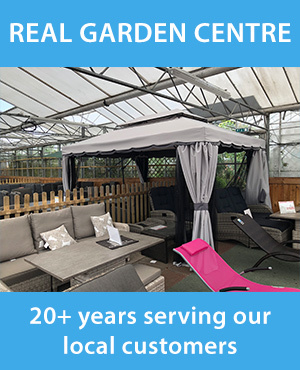 Aluminium framing and synthetic rattan construction will not rust or rot, even through contact with the ground, so if you purchase a high-quality set, nothing more need be done. If your concern is for protecting decking or other surfaces from scratches or dents from the furniture, then purchase some rubber furniture feet protectors. These will have the added effect of preventing furniture from sliding easily along smooth surfaces, if a ‘grippier’ placement is desired. Long-term scraping of feet against hard surfaces can eventually lead to uneven leg length too, so if you plan to keep your garden furniture pieces in pristine condition for a long time, lift when moving, rather than sliding – their feet will thank you. 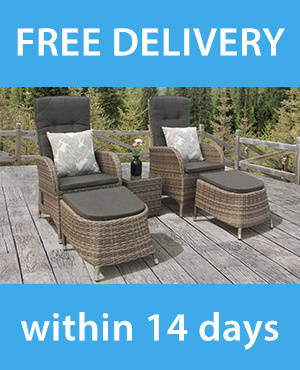 You can view all of our rattan furniture at our easy to reach showroom in the Midlands. Come in and visit us and try out your new set in person! Quality rattan furniture, at great prices.